Brad Dayspring, a longtime vocal advocate for Republican House members, is Politico’s new press hire. Dayspring most recently worked for the Walker campaign. 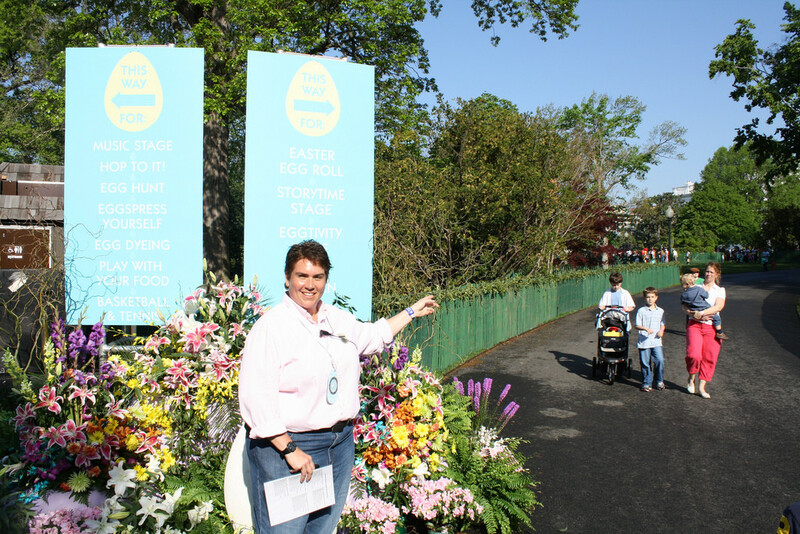 Dayspring, a regular at the annual White House Correspondents Garden Brunch, is married to Jake Tapper’s CNN press representative, Lauren Pratapas. 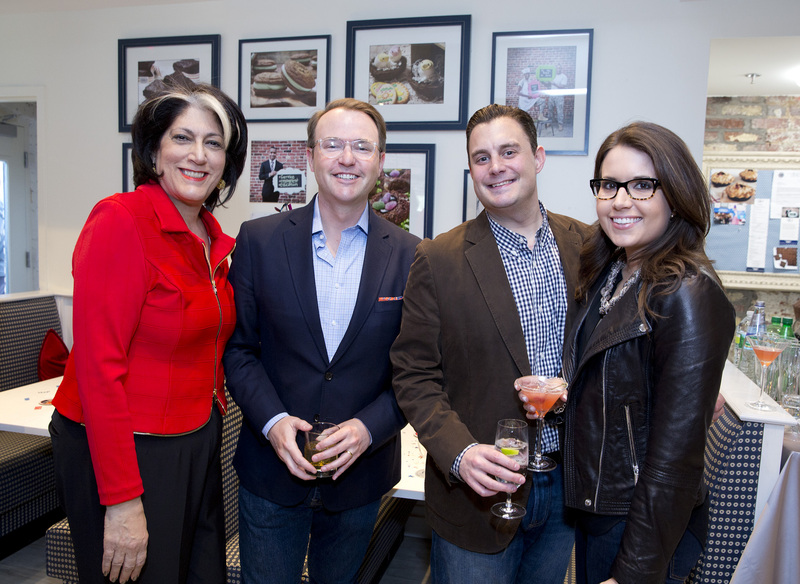 In the photo above, they are featured at the Veep premiere party held at Dog Tag Bakery. 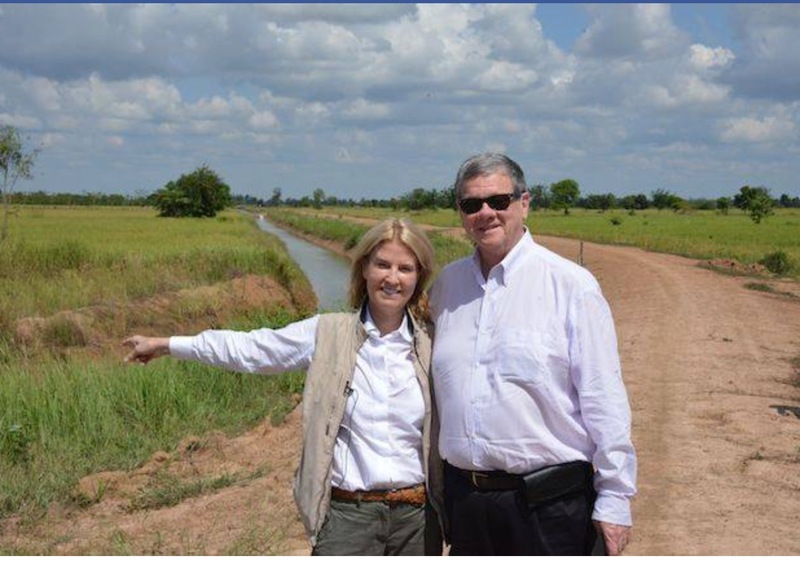 Working with Samaritan’s Purse, John Coale and Greta Van Susteren have helped to build a 3+ mile canal and irrigation system in three villages in Cambodia. 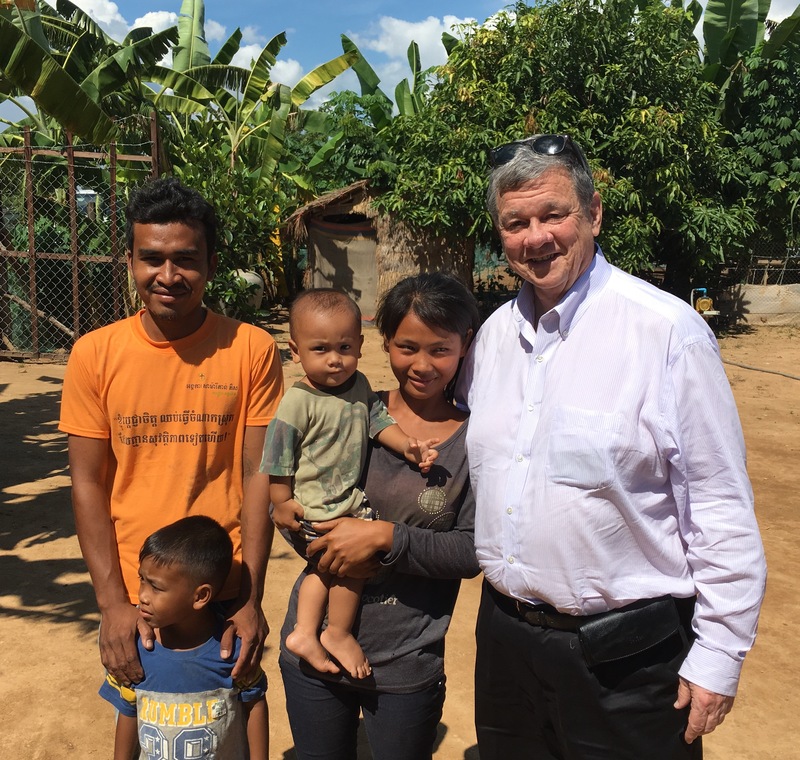 Because of this project, the residents, and mostly importantly, the children of these villages won’t starve and are less vulnerable to human traffickers. 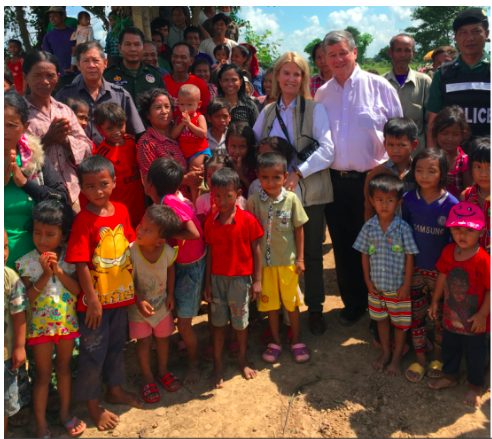 Thank you John and Greta for caring and doing. 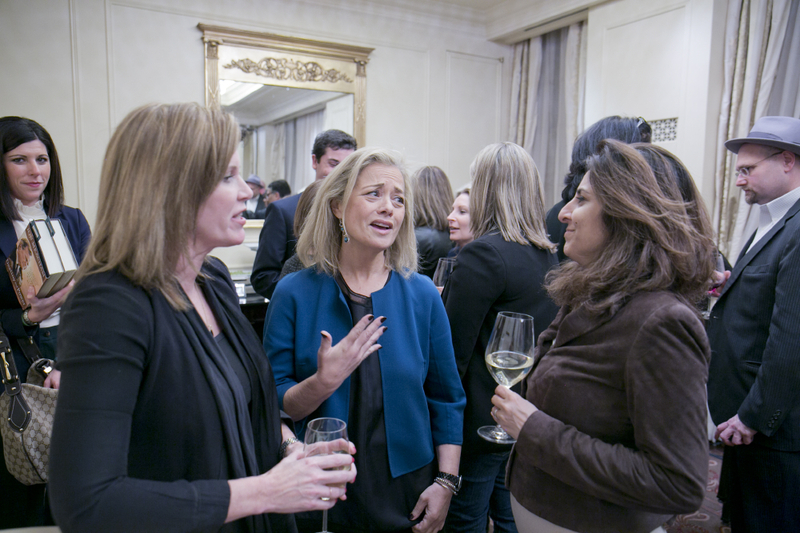 On the eve of Veteran’s Day, Tammy Haddad welcomed CURE Epilepsy friends and supporters on behalf of Connie Milstein and Father Rick Curry co-founders of Dog Tag Bakery for a CURE Epilepsy fundraiser Tuesday night. (ret) Marine Sgt. John Lira, a recent Dog Tag program graduate, started the evening off with a salute to all our servicemen and women and veterans. Susan Axelrod announced a grant from the Department of Defense to work together to research the effects of traumatic brain injury and epilepsy, while David Axelrod held a sign with a picture of his beautiful daughter Lauren who has suffered so much because there is no cure for epilepsy. 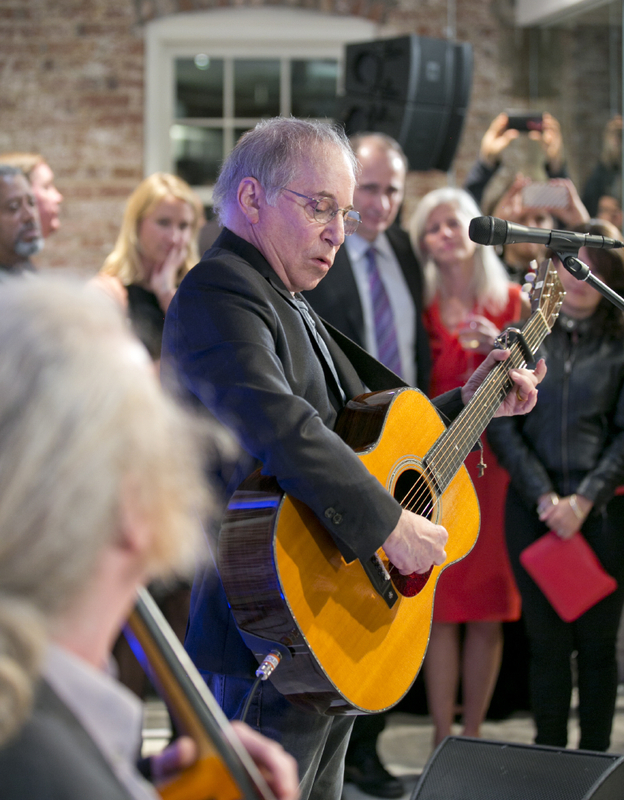 The evening came alive with the entrance of Singer Songwriter Paul Simon. He performed his hits from the Dog Tag stage and enjoyed dinner with 70 supporters. Senator Al Franken joked with Paul Simon as the audience sang along to his hits. Simon delighted the crowd by greeting guests at each table in the educational center of Dog Tag Bakery. 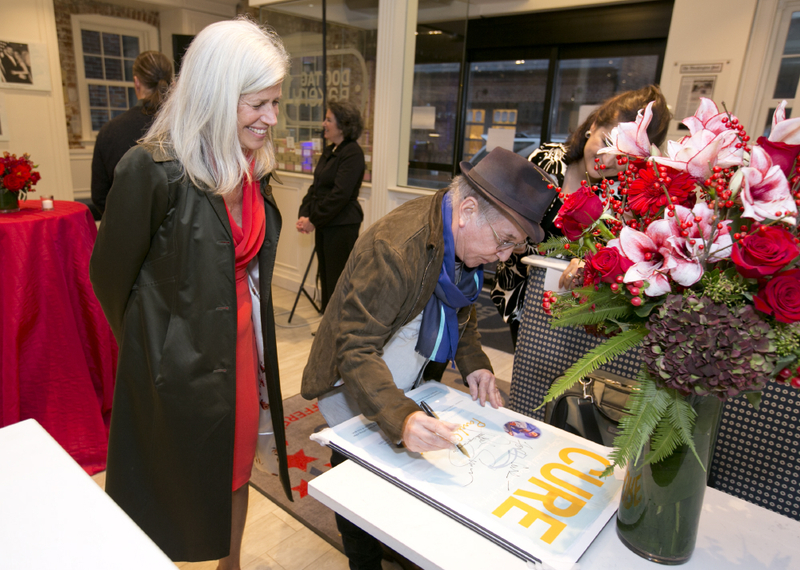 Paul Simon previously supported CURE by appearing at their Chicago event last year. 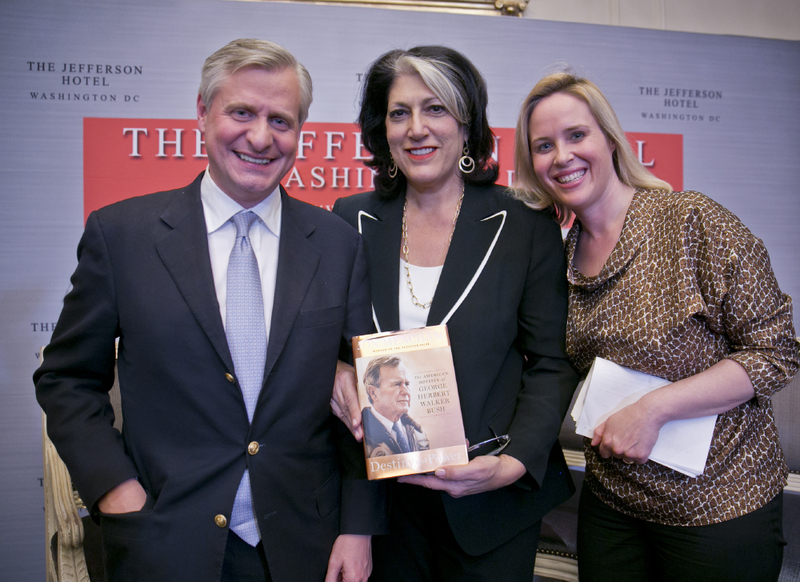 Guests included top White House aides Valerie Jarrett, Shailagh Murray, Lisa Monaco, and Sylvia Burwell plus Obama campaign veterans Joel and Lisa Benenson, Jim and Vicki Margolis, Stephanie Cutter, and Erik Smith. Grant to enhance research into the effects of traumatic brain injury in veterans. Chicago, IL- Citizens United for Research in Epilepsy today announced that it will create a new research program and focus with a grant of approximately 10 million dollars over 5 years to go toward epilepsy research in veterans with traumatic brain injury. The grant was awarded by the Department of Defense, Psychological Health and Traumatic Brain Injury Research Program, award number W81XWH-15-2-0069. The grant will support a team approach to researching the prevention and treatment of Post-Traumatic Epilepsy (PTE). The incidence of epilepsy in active service members increased by an alarming 52 percent from 2006 to 2010. Approximately 8 percent of those afflicted have been diagnosed with traumatic brain injury (TBI) , making it the most common predisposing condition. Twenty-four percent of military-related epilepsy is associated with prior TBI. Next steps for the program include convening a meeting of key opinion leaders in epilepsy, traumatic brain injury and veterans’ health to determine opportunities of biggest impact over the next five years. The outcomes of the meeting will serve as the basis for the development of a targeted team science research program which will be announced through a request for applications in late spring. 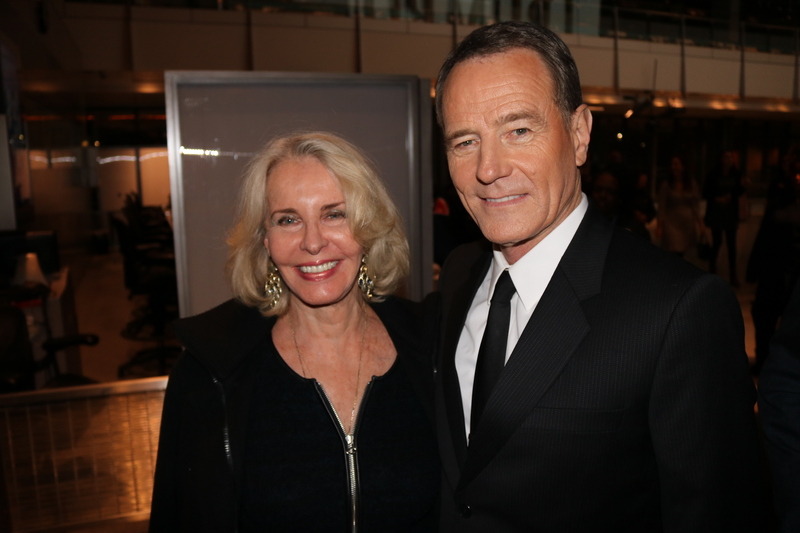 Washington notables took to the red carpet at the Newseum to meet star Bryan Cranston and director Jay Roach and fete their new film from Bleecker Street Media, “Trumbo.” The scene was far different from the one 68 years ago when screenwriter Dalton Trumbo was brought before the House Un-American Activities Committee. The film tells of Trumbo’s refusal to testify and be part of the HUAC’s witch-hunt for communists in the motion picture industry. Trumbo, a member of the Communist Party from 1943 to 1946, was one of the “Hollywood 10” – a group of writers and directors who would not name names. Trumbo was blacklisted in Hollywood, and forced to cut his fee and write under a pseudonym in order to support his family. During this time, two of the screenplays written by Trumbo and credited to others, received Academy Awards: “Roman Holiday” (1953) and “The Brave One” (1956). It wasn’t until 1960 that he received billing again for his work, on Stanley Kubrick’s “Spartacus” and Otto Preminger’s “Exodus.” The move essentially ended the blacklist. Director Jay Roach (“Recount” “Game Change”) helms the film that stars Bryan Cranston (“Breaking Bad”) in the title role. Roach and Cranston answered questions after the premiere, moderated by the Washington Post’s Ann Hornaday. 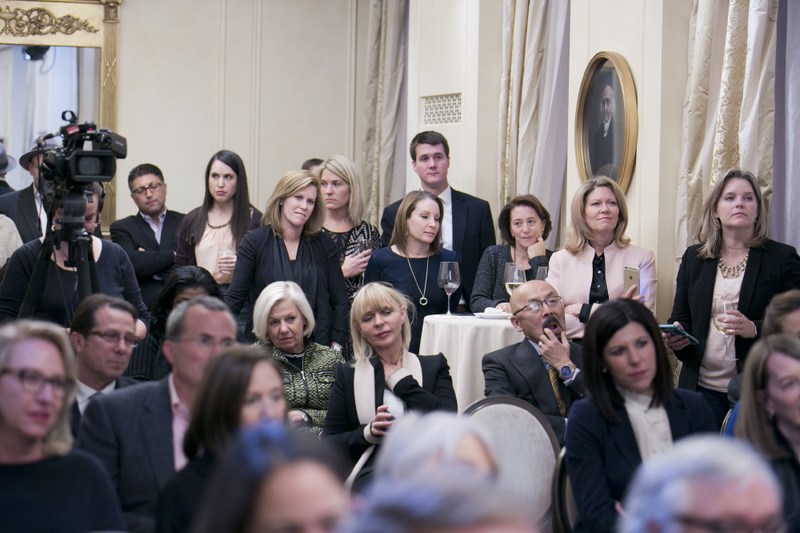 Those in the crowd included Senators Al Franken, Sheldon Whitehouse and Tom Udall, FCC Chairman Tom Wheeler, Sally Quinn, Ambassador Lloyd and Ann Hand, Bob Bennett, author Michael Eric Dyson, and Ryan Williams. President Obama was well represented by Ferial Govashiri and her fiance Mohamed Mirghahari, Brooke Lillard, Klevis Xharda and Carlos Elizondo. 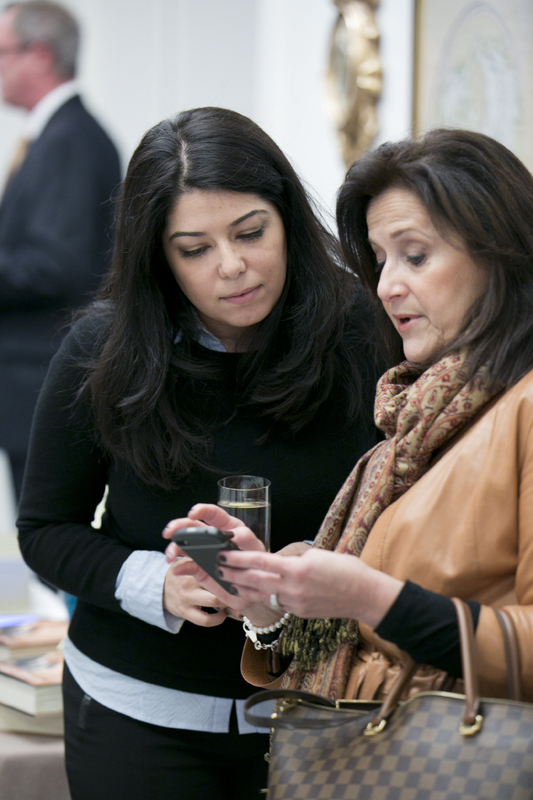 The Grand Forks Herald recently featured a story about Ellie Schafer, director of the White House Visitors Office under President Barack Obama and daughter of former North Dakota Governor Ed Schafer.